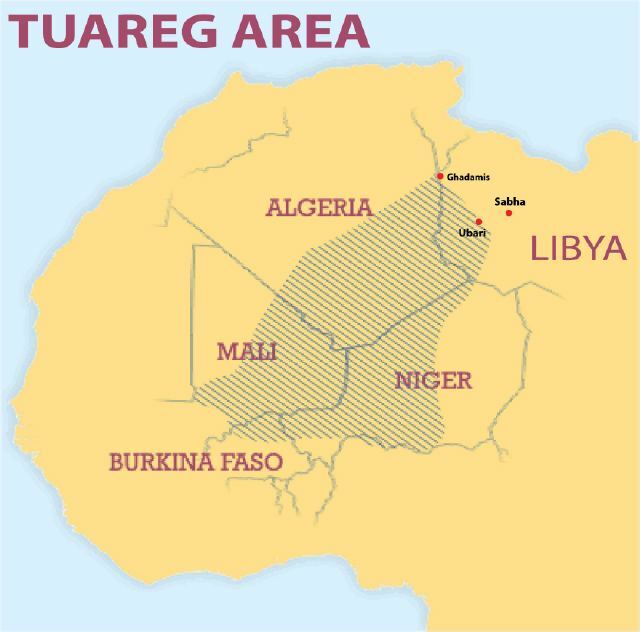 Touregs are a traditional nomadic tribe that wandered the Sahara for centuries from southwest Libya, across Algeria, through Mail and Niger to the northern region of Burkino Faso (formerly called Upper Volta.) Always known to beÂ fiercelyÂ independent and proud, in later years they have fallen on bad economic times. The promise of employment and better life offered by Gaddafi drew hundreds of young Touregs to Libya to serve not only in the regular Libyan army, but also in the batallions or special guards closest to Gaddafi and his sons.Â General Ali Kana, Toureg, is commander of Gaddafi’s southern garrisons. The Touregs who serve the Gaddafi regime come not just from Libya, but also from Mali and Niger whereÂ an estimated 800 have beenÂ recruited since the beginning of the Feb 17 uprising. Both Mali and Niger governments fear the return of the armedÂ combatantsÂ if Gaddafi falls – and the influx of Toureg refugees afraid of reprisals from a Libyan population that has been terrorized by foreign mercenaries – not only since Feb 17, but since the 1980’s when Gaddafi began to enlist Touregs in the military. The Free Libyan forces have committed to fair treatment of all captives and seem to have followed through on that promise. But many Touregs, often made to feel second class citizens in Libya, would probably flee rather than take their chances. The military stronghold and desert city of Sabha (Sebha) is reputed to be an entry point for mercenary soldiers from across the desert. It is currently in Gaddafi’s hands and even rumored to be where the Gaddafi family is in hiding. Sabha is the stronghold of the Magariha tribe loyal to Gaddafi. It is also the tribe of Gaddafi’s brother-in-law Abdullah al-Megrahi Al-Senussi. Gaddafi supported various rebel Toureg groups over the years, including Ibrahim Ag Bahanga, who struggled against the government of Mali. Some Touregs are reported to be fiercely loyal to Gaddafi, saying he sided with them in difficult times. In an article on andymorganwriteÂ http://ht.ly/4g3VY, Hama Ag Sid Ahmed, spokesperson for the ADC, a Toureg rebel group, claims the Toureg are divided on Libya. Some support Gaddafi, others say he has never brought real political progress, while still others believe Libya prevented a natural evolution in the region. And again from andymorganwrite, Abdallah, a Toureg in Tripoli, says about 200 Touregs have been killed because they refused to obey orders to shoot innocent protesters. In the early days of the uprising, there was much speculation about the role of Libyan tribes. From the outside, it does not seem that this pro-freedom movement has been splintered along tribal lines. Brothers and cousins from the same tribes seem to defect while others stay apparently loyal. Their true loyalty is questioned by Free Libyans who say many don’t defect out of fear of being executed or because their families are being held hostage. WeÂ probablyÂ won’t know the whole story until Gaddafi is gone and the truth comes out. And then when we hear it, it might still not make sense. It might take a Libyan to sort all that out. 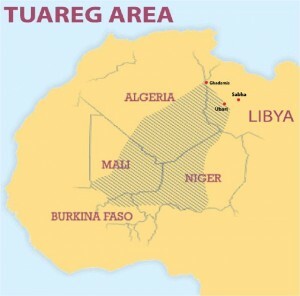 But it does seem certain that the Toureg tribes could play a vital role to accelerate Gaddafi’s fall. Or he could retreat into the desert with them, as is currently rumored, to take up armed conflict from neighboring countries. Hard to imagine Gaddafi in his poor state heading to battle in the desert. And Saif? Is he really up to aÂ guerrillaÂ fight? Both are full of surprises and never quite fail to amaze with their audacity. 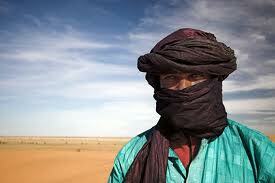 It’s pretty certain that a Gaddafi war based in the Sahara would not be good news to Niger or Mali. Who knows about Algeria? They are rumored to be supplying mens and arms to Gaddafi right now. But would they want a rebel camp within their borders? Could Gaddafi be hiding in deep desert Libya with his Toureg Praetorian Guard? Excellent piece! It explained the tribal dimension of sub-Sahara vis-a-vis the Libyan conflict. Tribal defections are the key if Colonel Gaddafi is to be brought down “from the inside”. While Gaddafi is totally mental and brutal, the western world is certainly no there because of any moral ground. The blood of Libyan people is cheap. However, once Libyan people raised their voice against this cruel dictator, it became an opportunity to cease. In all circumstances, Libyan people did not become in one day humans enough to be protected. All his deadly weapons are made in the UK, France and the United States in addition to other western countries.